Explore Fibre: Welcome to Blogathon Canada! I'm so glad you decided to hop on the Blogathon to do some exploring! There are so many amazing talents across Canada. It's a great chance to connect. Order Kristy's Quilt today in plenty of time for Christmas. 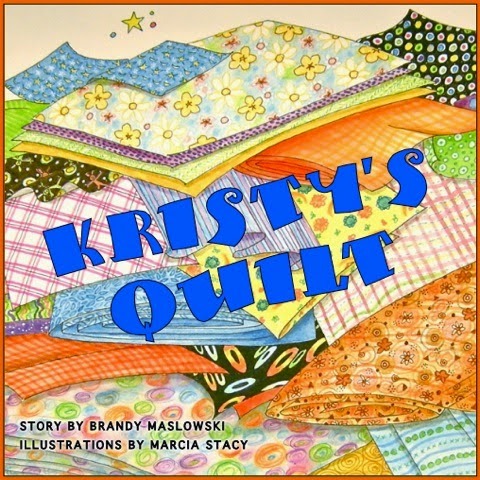 I am also the author of Kristy's Quilt. Do you have a little one in your family who would love to snuggle up with a bedtime story with you over the holidays? Why not give them a glimpse into your passion for quilting at the same time! The aim of Kristy's Quilt is to share the heritage of quilting a child. For just $25 it can be delivered anywhere in Canada. AND MY BIG EVENT going on right now is a worldwide postcard exchange. You can sign up for the CQT SNOWFLAKES POSTCARD EXCHANGE from now until Nov. 22nd. 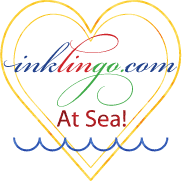 It's free to join, a great way to explore a new technique and best of all you could make a new friend. TELL ALL OF YOUR FRIENDS - your only cost is the postage to somewhere in the world and it's so much fun to receive a postcard from your new pen pal over the holidays. Thank you so much for swinging by for a visit. Be sure to sign up to follow the Explore Fibre Blog in the right hand column. You can also find me on Facebook/CanadianQuiltTalk, on Twitter @ExploreFibre and on Pinterest - Brandy Maslowski. And the best way to keep up to date on everything that's going on with me is to sign up for the Brandy Lynn Designs monthly newsletter by joining our mailing list in the right hand column. Until Next time - Dream Big and Work Hard in the Studio with Canadian Quilt Talk! Kilvert Lake in your gallery is pretty. Thank you! It was so fun to make and now I teach it as a workshop. I've had wonderful students create skies in all blues or all pastels for a wonderful effect. Cheers! Hi Brandy Lynn. I clicked over from Blogathon Canada. I finally clued in on how to subscribe to your podcast with my iPod so I am now a subscriber in iTunes. :) Yay! So easy! Hahaha! Well, it took you long enough! No, really, you have been such a loyal online follower - thanks for joining me on this crazy journey! Wishing I could find the time to do the Snowflake Postcard swap...it sounds so much fun! Will be watching for another event in hopes of participating. Visiting you from the Blogathon Canada hop!!! Thanks for stopping by Andrea! Be sure to sign up for my monthly newsletter so you get the word about the next postcard exchange. I'm visiting from the Blogathon today - it's nice to meet you! I am born in the sunny Okanagan but transplanted for some time now in the prairies. I have never heard of Canadian Quilt Talk but I'm going to go check it out right now. Thanks for sharing! Wonderful! We are opposites! I moved from the prairies to Summerland. I'd love to hear what you think of the podcasts - you have loads of listening to do girl! I signed up for the postcard exchange but what are the parameters - just a snowflake postcard? 4 x 6 quilted or fibre art postcard. Theme is SNOWFLAKES and anything goes for creative design. Just have fun. You'll get an email with all the details if you haven't already. I check my inbox each evening and send out all the replies. So glad you signed on! Good morning! Just found you through blogathon! I am going to check out all your links, thank you for sharing them. I am a transplanted Yukoner...retired last Christmas and moved to the Shuswap. Still getting settled in and learning my way around. Where in the aokanagan are you? I am just outside of Salmon Arm in an area aling the lake called Sunnybrae. Dont you just love that name? Lol! Enjoy your day! Shuswap is on my list of places to see one day! I live in Summerland between Penticton and Kelowna in the Okanagan Valley. Sunny brae sounds lovely. Could you give more info on the post card? How big does it need to be? Is it anytype of fibre art, or just patchwork or applique? Hi Nita, 4 x 6 and anything goes with quilting patchwork, appliqué or fibre art. The theme is SNOWFLAKES. Once you sign up, you'll get an email with a link to a tutorial and a place where you can buy supplies if you need them. I'd love to see your name in my inbox to participate. Cheers! Brandy Lynn I so enjoy your podcasts though I must admit I am not up to date with them. Your work is wonderful. It would be so hard to pick a favourite. I always look forward to the preview post of your podcast.